To enter the Beirut nightclub B018, one arrives on what appears to be a helicopter landing pad and descends a staircase to enter the underground music mecca. The club is located on the spot where 20,000 Palestinian, Kurdish and South Lebanese refugees were massacred in 1976 during Lebanon’s civil war, which began in 1975 and continued for 15 years. “How do you design a bar on a site like this in a country that is in denial of its own history?” said architect Bernard Khoury, who took on the project in 1998. For Khoury, the project was a must. “If someone doesn’t want anything to do with it, they’re a coward,” he said. 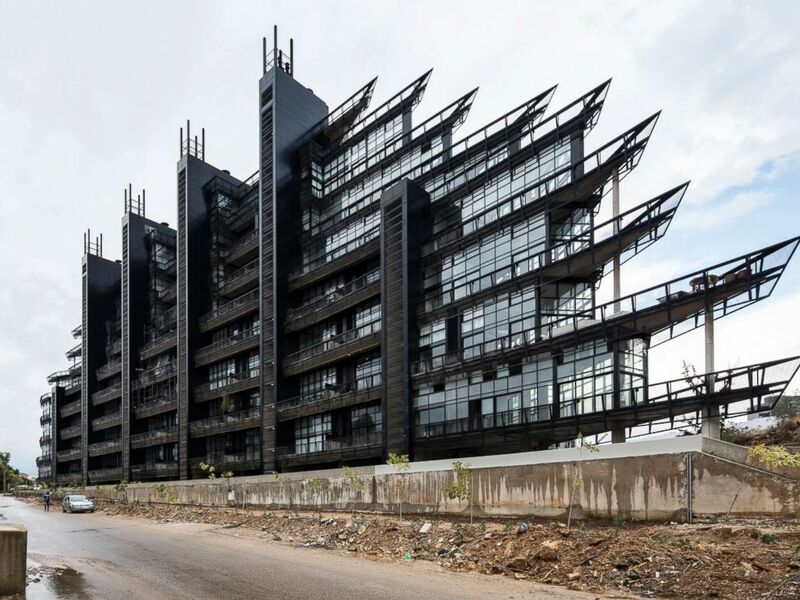 This defiant attitude defines Lebanon’s best-known architect, whose imaginative structures are often unafraid to enter dialogue with the sites on which they are located, often referencing the country’s troubled past. Take, for example, Centrale, a restaurant located in the city’s historical center. The recuperated ruin from the 1920s sits near the former demarcation line that separated East and West Beirut. Khoury chose to keep its crumbling facade visible through wire mesh as a reminder that this area had once been a no-man’s land with decaying, decrepit buildings. Residential complex Plot 1282, with its jagged exterior, was built near the site of an abandoned military complex. Today’s Beirut is a vibrant metropolis with a reputation for its thriving nightlife and mouthwatering cuisine. To tourists visiting the hot spots, the scars of civil war, which ended as recently as 1990, are nearly invisible. Khoury’s architecture is part of a city with one foot stuck in the past and another in the future, where once-opulent villas and unappealing apartment complexes intermingle with luxury high-rises by some of the world’s top architects, from Foster + Partners to Herzog & de Meuron. Although Khoury admires the work of his foreign colleagues, he sees their limitations and what he calls a “naive understanding” of a country with a complex history and social fabric. ABC News spoke with Khoury on a rainy day in Beirut shortly before he gave a lecture to group of young Lebanese architects and designers who had gathered for a design biennial by Beirut-based NGO House of Today, which supports a small but thriving scene of Lebanese designers. Over a double vodka on the rocks, the combat-boot-wearing architect explained one of his missions: to help the upcoming generation to remember their country’s past. “In the so-called postwar period, something very dangerous happened: we completely bypassed the history of the young republic — from the 1940s until the 1970s — during which there was a project of building a modern nation and great efforts done on all levels, in architecture, cinema and painting and industrial design,” said Khoury. 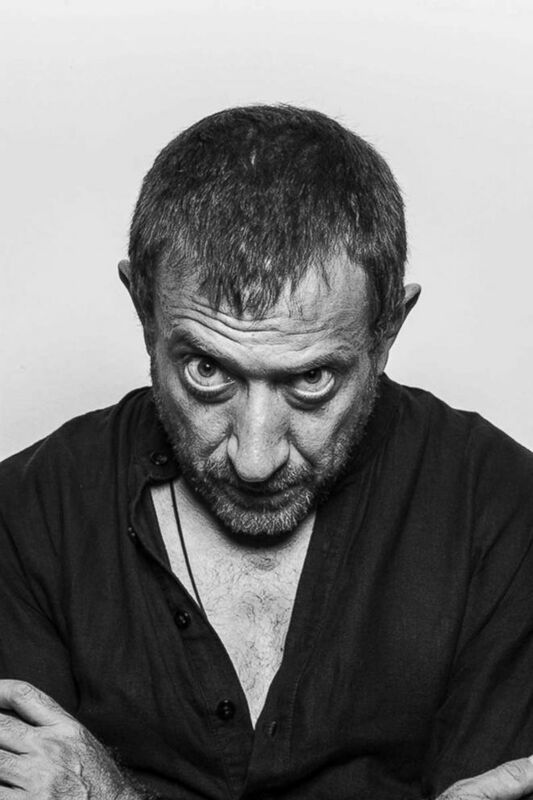 A portrait of the architect Bernard Khoury. While some major projects have preserved the country’s archeological history, such as the post-civil war redevelopment of the city center by private firm Solidere, the decades when Lebanon was in the process of becoming its own nation have been completely ignored, he said. One of the architects of this forgotten period was Khoury’s father, Khalil. The son of a carpenter and nun, the elder Khoury was a staunch communist who once delivered medical supplies to Fidel Castro. He devoted the early part of his architectural career to social projects, including working on refugee housing. His son returned to a different Beirut after the war, one in which the state had collapsed and the free market reigned supreme. Coming home after studying architecture at Harvard, Khoury was disappointed to see that his hometown did not rise from the ashes in the way he and his peers hoped it would. “We thought we were going to rebuild the nation and write our history like you would do in any postwar period but none of that really happened. We didn’t rebuild our institutions, the nation state was never restored and the private sector basically took over,” Khoury said. But he embraced this, initially gaining fame for short-term commercial projects in the entertainment industry like B018. The entrance to underground club B108, built on the site of a former refugee camp. 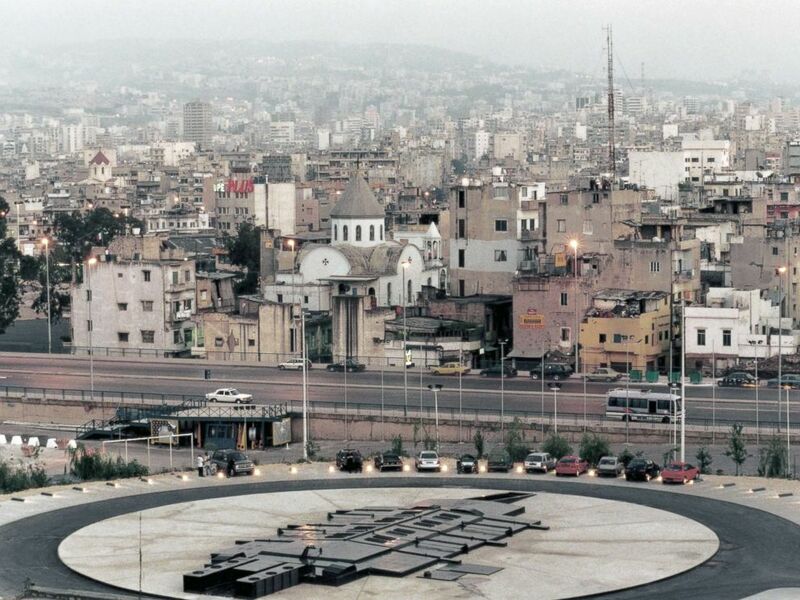 “Beirut in this condition gave me a relationship with temporality which I think is more contemporary from my colleagues in the West who still build structures which are conceived to survive eternity, like the pyramids,” he said. Khoury honed his style through experimenting on projects that would be torn down and redeveloped. Plot # 1282 a residential complex in Beirut which features the architect’s signature style.